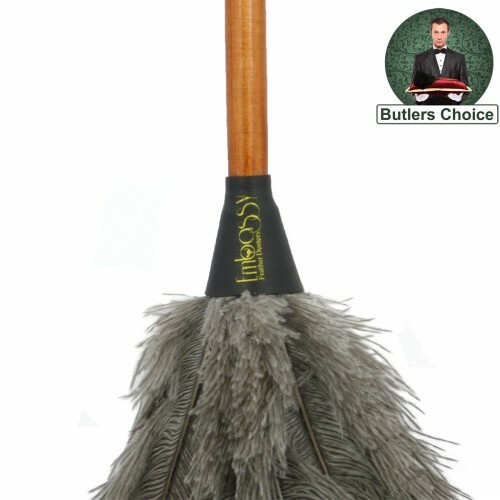 28 inch silver ultra floss feathered, ostrich feather duster from the Butlers Choice Arthur collection. 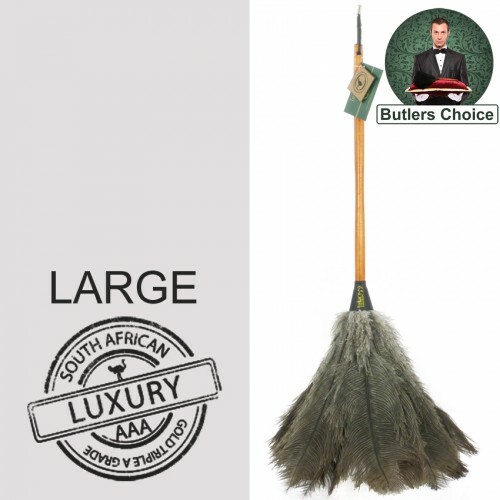 These beautiful AAA grade Ostrich dusters are our top of the line, made from floss feathers taken from under the wing area, are supersoft and of the highest quality, are recommended for professional use. 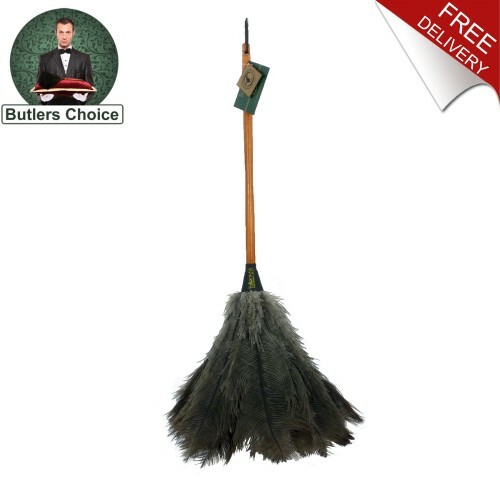 Ideal for dusting Plantation Shutters, Plants, Plasma or LCD TV’s, Fine Art and Antiques etc, can also be used for dusting around delicate objects. Our Luxury range feature a stained wooden handle with leather strap and leather covered, tough plastic collar. 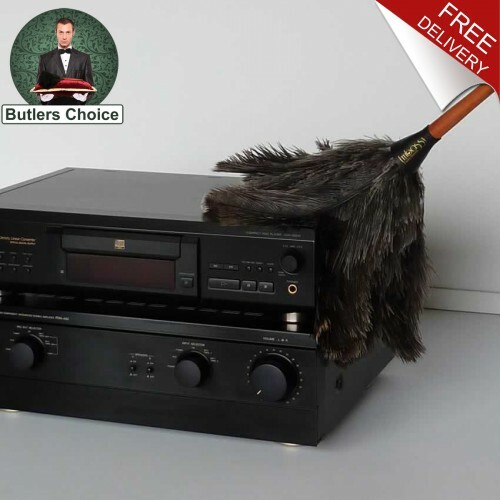 Electronics LCD TV's, Desktop PC's, Laptops & Apple Mac, Steros, Xbox, Playstation, Wii & other game consoles. 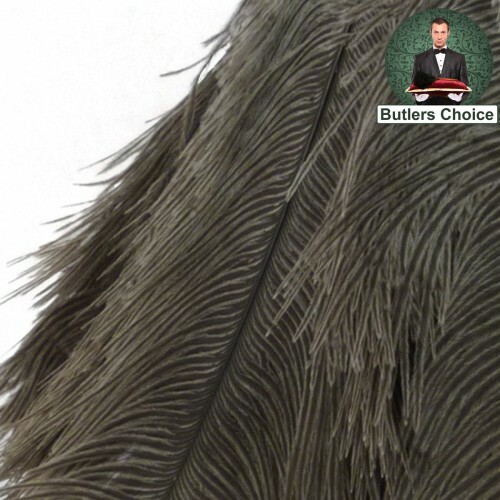 Feather Type These beautiful AAA grade Ostrich dusters are our top of the line, made from floss feathers taken from under the wing area, are super-soft and of the highest quality, are recommended for professional use. Estimated Delivery Time We hope that your delivery arrives within 1-2 days after dispatch but please allow up to 5 working days for UK delivery.